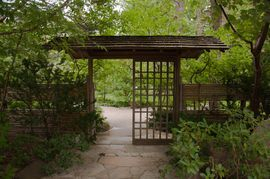 An appreciation of nature is essential to both Japanese and Chinese garden design. Each seeks to interpret the natural landscape in miniature and both convey a sense of calm and serenity. Man's place in the garden is clearly defined with spaces organized by function and views carefully controlled by design. 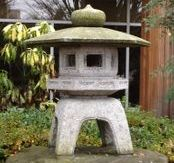 While Japanese gardens were heavily influenced by China, each style is distinct in it's look and feel. 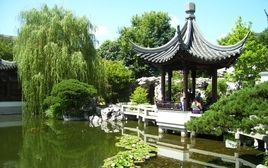 Chinese gardens were places of tranquility and scholarly pursuit. Here the Chinese elite pursued the study of calligraphy, poetry, art and philosophy. 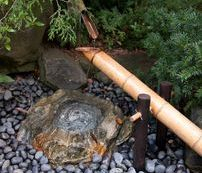 Key features include a tranquil water feature, unusual rocks, rock gardens and plants with symbolic meanings: the pine (longevity), bamboo (strength and flexibility) and the plum (loyality). 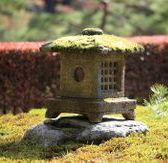 Like Chinese gardens, Japanese gardens are designed to depict a natural landscape in miniature. 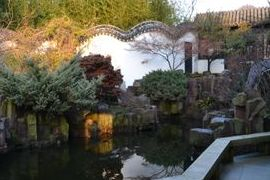 Japanese gardens vary in appearance depending on the function of the garden. 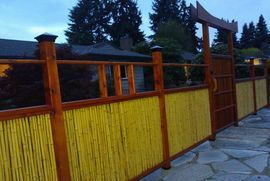 These can include the tea garden, Zen garden or strolling garden. 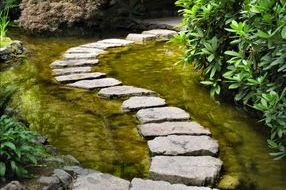 Japanese gardens also contain water, symbolic plants, stones and carefully designed views. 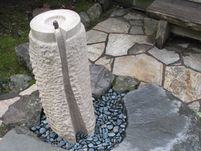 The most important elements in oriental gardens are stone and water. 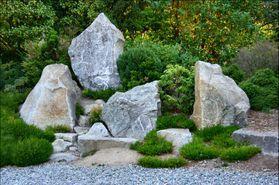 Stone can be thought of as the skeleton or foundation of the garden. 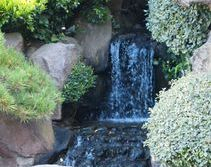 Water in the garden helps offset the weight of stone and provides melody, movement and open reflective spaces. The shape, size and placement of rocks is extremely important. Great care is taken to achieve asymmetric balance. 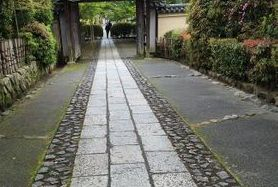 Stone work can also be found in paths, steps and bridges. Koi pond. The Koi fish symbolize good luck, abundance and perseverance in adversity. 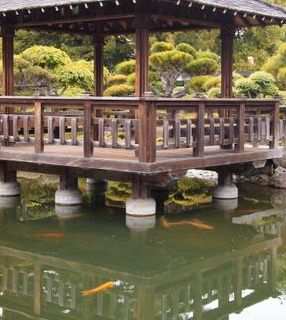 Japanese gardens   are divided into five different styles. They include the 'Hill and Pond' style, the 'Dry Landscape' style, the 'Tea Garden' style, the 'Stroll' style and the 'Courtyard' style. The structures within each of these types of gardens serve a particular purpose. As with Chinese gardens, views are carefully planned. Japanese tea house Kyoto, Japan. 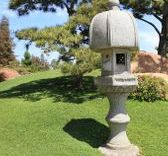 Other elements in Japanese gardens are stone lanterns and pagodas. These come in different styles depending on where they are used in the garden. Take care to choose the appropriate style for your garden location. 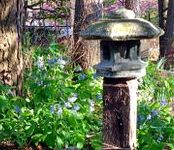 Plants in oriental gardens are chosen not only for their beauty but for their symbolism as well. Often they are shaped into forms to represent clouds or islands. Unlike western gardens with their abundant use of colorful flowers, oriental gardens are usually very green. Foliage is the primary design element with flowers serving a secondary role. The following are a few common plants found in oriental gardens.